Discussion in 'GPS Tracks - Central, Texas & Gulf States' started by Cannonshot, Apr 11, 2016. 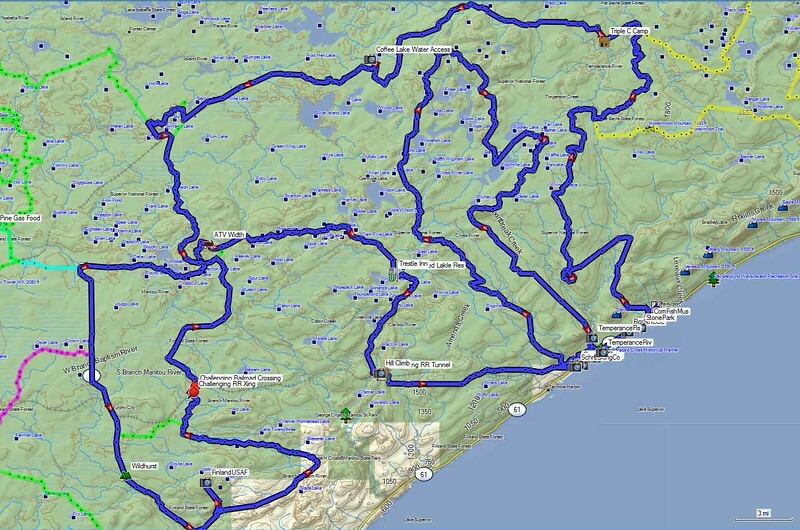 Over the past couple of years a few of us have been working together to produce some GPS guided dual sport rides in the north shore area of Minnesota. Our combined effort led to scouring any potentially usable forest paths in much of the area to collect raw tracks that could later be assembled into some entertaining rides. This started with the locals that support the MN North Shore Shindig each year wanting to have some self guided rides and ended with a catalog of rides that anyone can enjoy on their own. Huge thanks to the folks that helped us collect the raw data. This was a great cooperative effort. jwalters, c-zulu, Klay, Lutz, and maybe some others all pitched in. Nice to see it produce some opportunities for a lot of others in the future. Although the tracks are based on raw GPS data from paths that have been actually ridden by the scouts, the final tracks still require a final proof so be prepared to be able to adapt and report back any changes that are required. Overview of the DS routes. 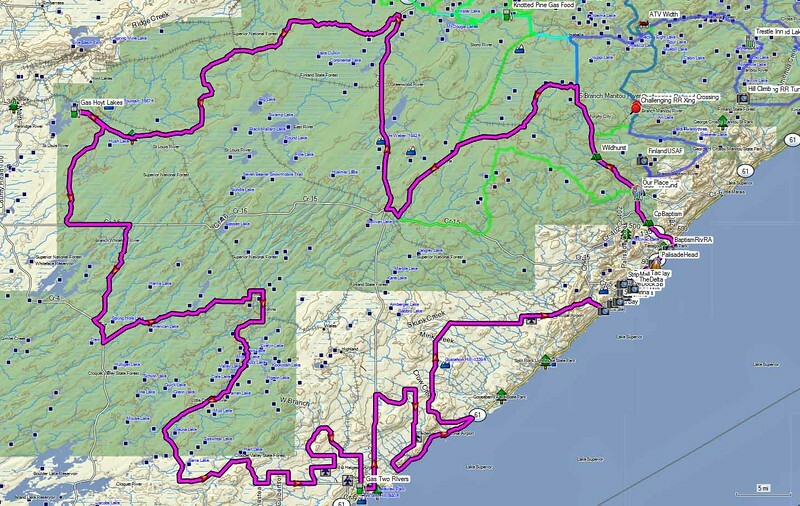 Some may want to ride the North Shore on a road route as part of their visit to the area. 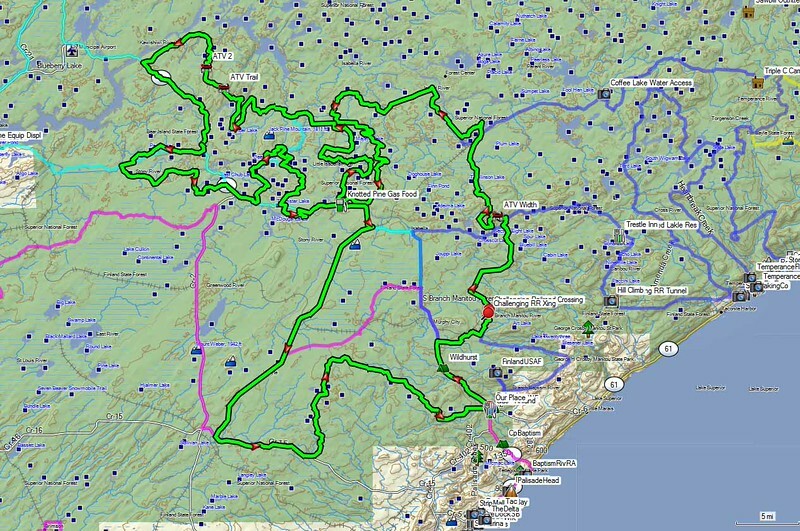 Tracks for that can be downloaded from my Lake Superior GPS file and information can be obtained from the ride report. 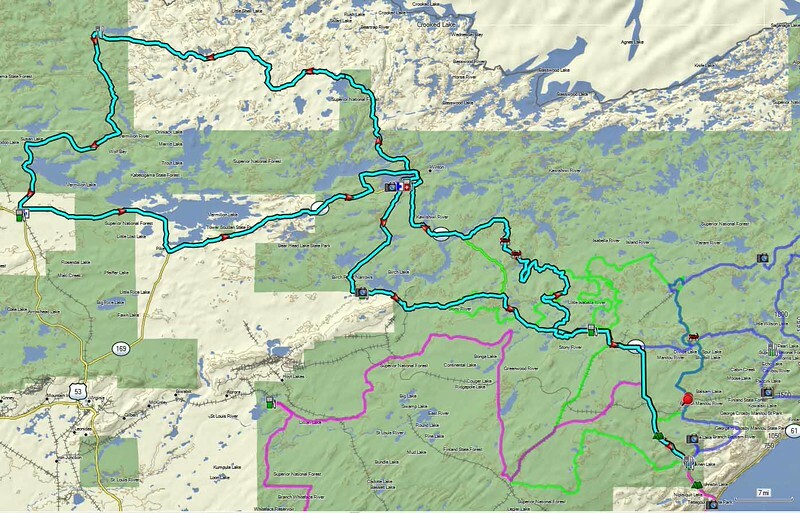 Those same tracks/report can be used for the Gunflint Trail for those that might want to explore that out-and-back ride. This dual sport route visits a scenic waterfall and a closed border crossing. It also involves some rugged sections. The "Border Falls" track is 188 miles long with longest gas being 95 miles. 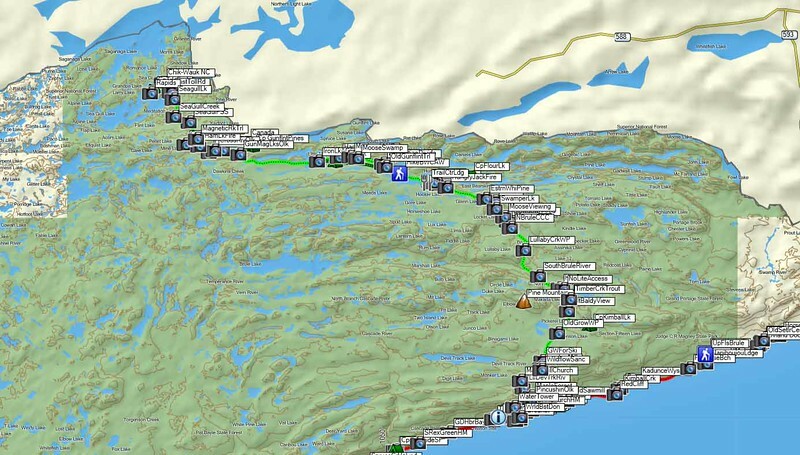 It starts and ends in Grand Marais (which is 50 road miles from the Finland base option). 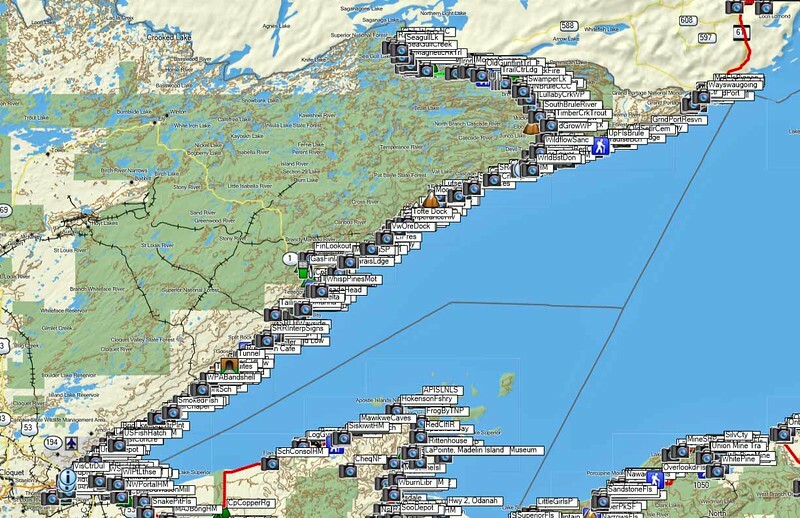 The "Grand Marais" track is 104 miles long with longest gas being 104 miles. It is also based out of Grand Marais. This "Tunnel" track is based out of Finland and is 208 miles long with longest gas being 92 miles. This "Knotty" track is also based out of Finland. It is 219 miles long with longest gas being 97 miles. The "Echo Ely" track is a long and scenic ride. It is 287 miles long with longest gas being 75 miles. This "Loper" track is a nice road ride that visits some interesting sites. It is 259 miles long with longest gas being 90 miles. Downloaded 1234 times from a prior private site. 20,166 views there. Orthodoc, Babbitt, MNimum and 1 other person like this. I have ridden some of the routes between Cook and Ely, etc. and also used to deer hunt + snowmobile out of Finland and know some of that area. I live about 5 hours south of it all. I have not scratched the surface of most of what you have outlined though! Thank you! This should keep me busy this season! We took the echo ely track this past Friday. 2 650 dual sports, a gs1200 with knobies and a v2 vstrom with battle wings aired down. Very nice route and no problems for even the big bikes. Some 70 mph stretches on the gravel but most was 50 or less. Terrific scenery. I did the North Shore Shindig ride with a bunch of guys last week end. I had the tracks posted above. We ran into a couple of problems with impassable downfall on some "ATV width" roads. We also did a few roads that weren't on any of the tracks I had downloaded. My tracks are here in the post under my handle, wbbnm. I marked the impassable spots. Thanks for your efforts and generosity. My chums and I will check out some of these routes in the spring. Thanks for all your work putting these together and researching the points of interest. We just spent a few days on the North Shore and we had a great time. we rode the Gunflint trail, but were disappointed we didn't see any wildlife. The road through Jay Cooke State Park was amazing! !